*VW Certified*, Bluetooth Connectivity, Clean Carfax - No Accidents, 30+ MPG!, Manual Transmission, Titan Black w/Cloth Seat Trim, 4-Wheel Disc Brakes, ABS brakes, Four wheel independent suspension, Heated door mirrors, Power windows, Remote keyless entry, Steering wheel mounted audio controls. *VW Certified*, Backup Camera, Bluetooth Connectivity, Clean Carfax - No Accidents, App Connect Smart Phone Integration, 30+ MPG!, Auto Trans, Titan Black w/Cloth Seat Trim, 4-Wheel Disc Brakes, ABS brakes, Brake assist, Steering wheel mounted audio controls. 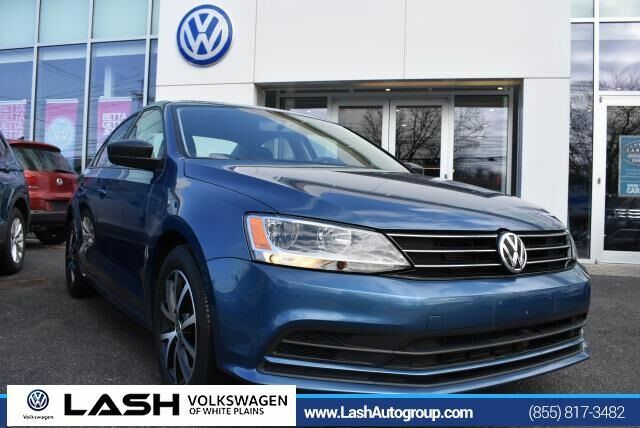 *VW Certified*, Navigation, Heated Front Seats, Backup Camera, Bluetooth Connectivity, Clean Carfax - No Accidents, Keyless Entry w/ Push Button Start, Leatherette Seating Surfaces, Fog Lights, 30+ MPG!, Alloy Wheels, Auto Trans, 2-Tone Black/Ceramique w/V-Tex Leatherette Seat Trim, 4-Wheel Disc Brakes, 6 Speakers, AM/FM radio: SiriusXM, Four wheel independent suspension, Leather steering wheel, Steering wheel mounted audio controls. *VW Certified*, Lighting Pkg, Power Sunroof, Heated Front Seats, Blind Spot Monitoring, Backup Camera, Bluetooth Connectivity, Clean Carfax - No Accidents, App Connect Smart Phone Integration, Adaptive Cruise Control, Keyless Entry w/ Push Button Start, Leatherette Seating Surfaces, Fog Lights, 30+ MPG!, Auto Trans, Titan Black w/V-Tex Leatherette Seat Trim, Alloy wheels, Bi-xenon Headlights w/AFS, Leather steering wheel, Lip Spoiler. There is a $50 deductible. Plus, you keep the balance of any limited warranties already on your certified used Volkswagen vehicle. Think of it as peace of mind on 4 wheels. Certified. CARFAX One-Owner. At Volkswagen of White Plains, we are committed to providing our customers with the lowest prices in the area and excellent customer service. Our personalized service differs completely from other dealerships. We truly care about each and every customer - rather than only our bottom line - and our goal is to insure that every customer leaves knowing they received the best deal possible. In our opinion, we would rather have repeat customers (and service customers) than making a one-time unfair deal. Prices include all rebates and incentives.